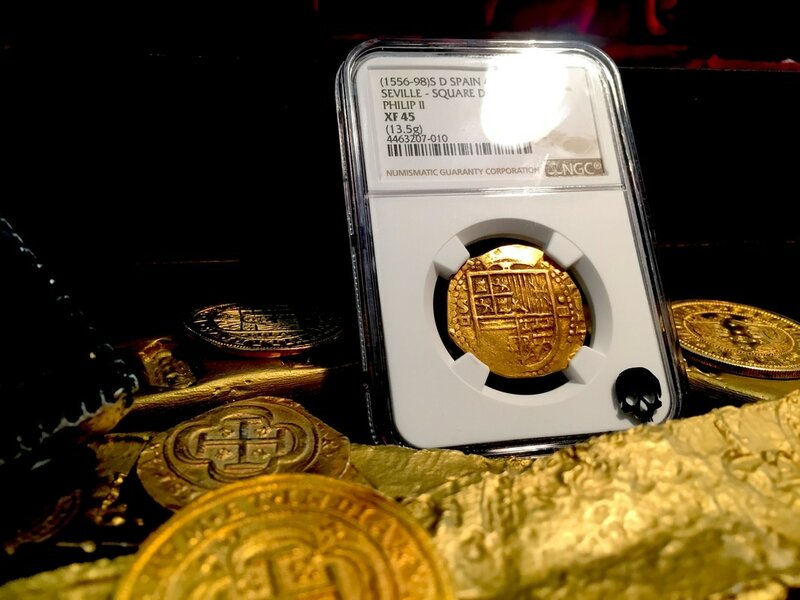 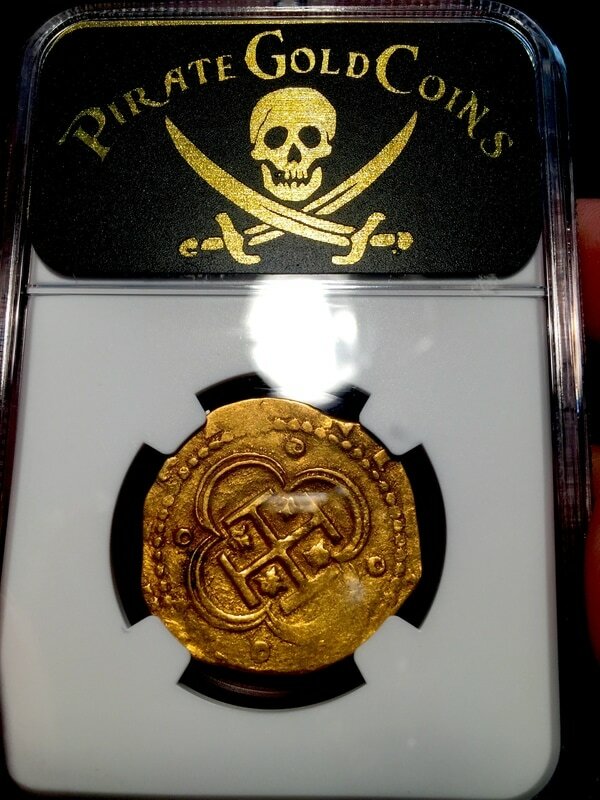 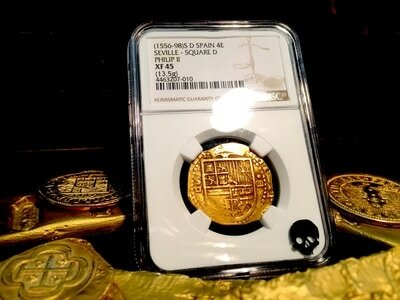 SPAIN 4 ESCUDOS COB 1556-98ND PHILIP II CROWNED ARMS AND CROSS NGC 45 THIS TONING PERFECTLY ENCAPSULATES THE ESSENCE OF THE PIRATE ERA, REALLY CONTRIBUTING TO THE FEELING YOU GET WHEN HOLDING THE COIN IN YOUR HAND "LARGEST DENOMINATION FOR HIS RULE!" 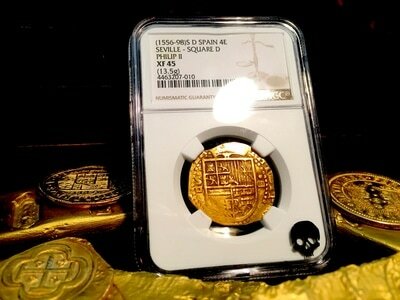 A HANDSOME PIECE WELL MADE ON A PROBLEM FREE FLAN WITH ATTRACTIVE COLOR AND LUSTER. 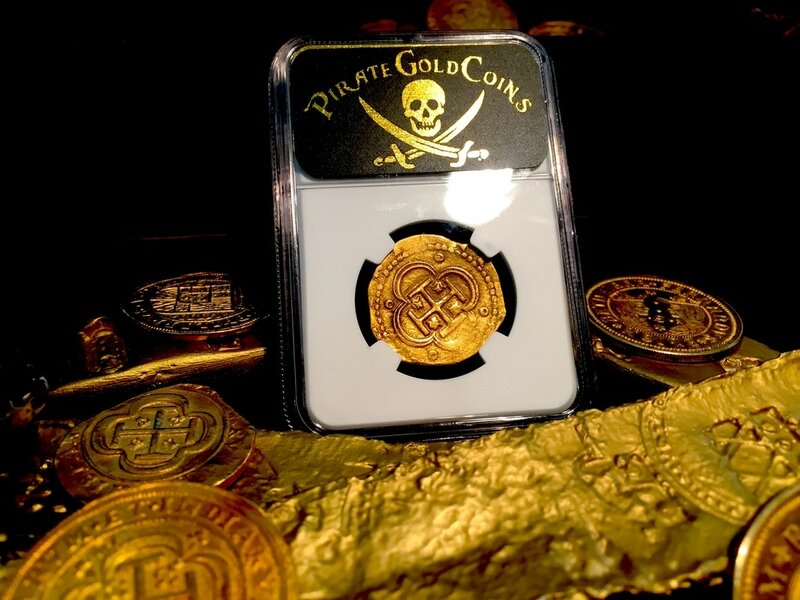 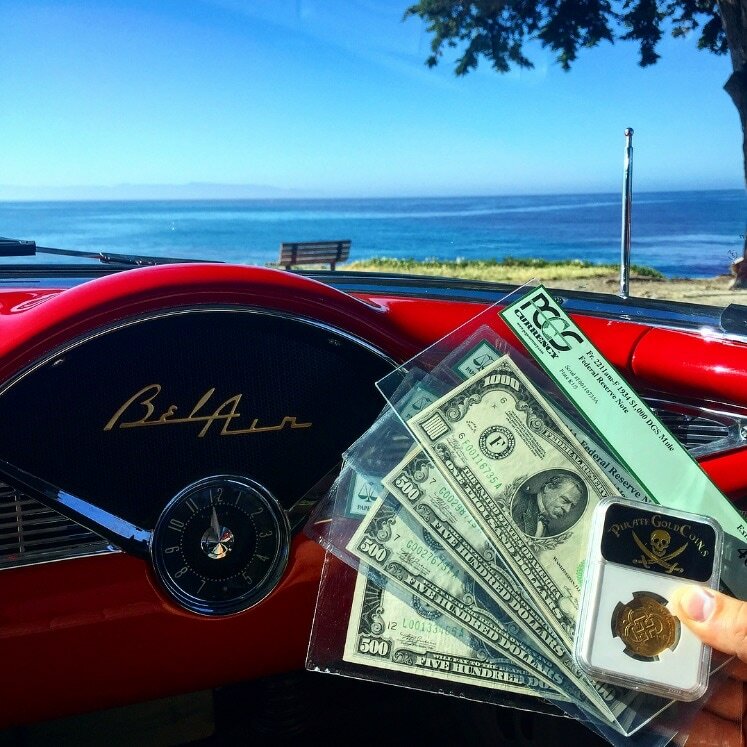 BOLDLY STRUCK DEVICES AND EXCEPTIONAL COIN FOR THE TYPE! 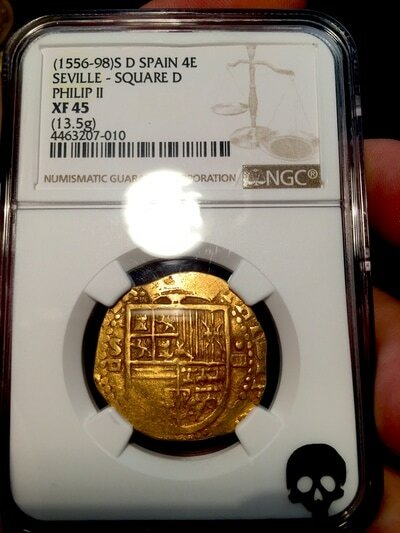 SEVILLE MINT (LISTED IN "OLD" CATALOG IN XF 40 AT $4,000, HIGHEST GRADE IN CATALOG ONLY GOES TO XF) SUPERIOR CENTERING ON BOTH FRONT AND BACK WITH AN EXTREMELY ATYPICAL ALMOST PERFECTLY ROUND PLANCHET/FLAN. WITH ITS GOLDEN HONEY LUSTER GLIMMERING BRIGHTER THAN ANY OTHER ESCUDO WE'VE SEEN FROM OVER 450 YEARS OLD ! TRUELY A CENTER PIECE FOR THE ADVANCED COB CONNOISSEUR!